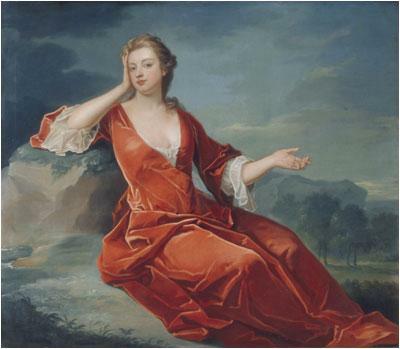 Sarah Jennings was born on June 5th, 1660 probably in Holywell House, St Albans and died on October 18th, 1744. She was the granddaughter of Sir John Jennings (or Jenyns) who built Waterend House in about 1610. On Sir John's death Richard, her father, inherited the property and Sarah would have spent much of her time at Waterend. Richard Jennings became friends with the Duke of York, later to be James II, and Sarah entered Court as maid of honour to James's second wife, Mary of Modena. In 1675 Sarah became friendly with James II's daughter the young Princess Anne and in 1677 she married John Churchill. Both Sarah and John were influential in court partly because of Sarah's relationship with Princess Anne. The reign of James II (1685 – 1688) was turbulent as King James was a catholic trying to reign in a fiercely protestant country. Sarah and John Churchill supported the removal of the King in favour of Prince William of Orange, a protestant. If the plot against James II had failed both might have been executed along with Princess Anne. However, in 1688 James II fled under threat of invasion by Prince William which and the joint reigns of William and Mary (1688 – 1702) began. King William awarded Sarah's husband the title Earl of Marlborough though now they had much less influence. In 1702 King William died and Anne became Queen in her own right. She immediately made John Duke of Marlborough. With John away fighting in the War of Spanish Succession, Sarah became the most influential person in the kingdom. She built Woodstock Manor (later to be Blenheim Palace) and controlled the Queen - from her finances to who was granted an audience. Her bond with the Queen was so close that some believed it to be sexual. Over time Sarah's influence waned largely because of her selfish and self-serving relationship with Anne after she became Queen. In 1711 Sarah was stripped of her prestigious office of Mistress of the Robes. Sarah and Anne never resolved their differences before the Queen died in 1714. Sarah lived, however, for another 30 years and to a healthy old age, and her descendants include such notable figures as Winston Churchill and Diana, Princess of Wales. Sarah Jennings has to be one of the most influential residents that have ever lived in the Parish of Wheathampstead (although at the time it was part of Sandridge Parish!). A more detailed account of Sarah Jenning's life can be seen on the Wikipedia site here.